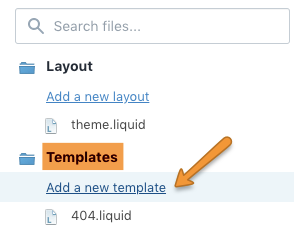 If you find the page templates very basic, there is a method to add a Pipeline homepage section into a regular page template. 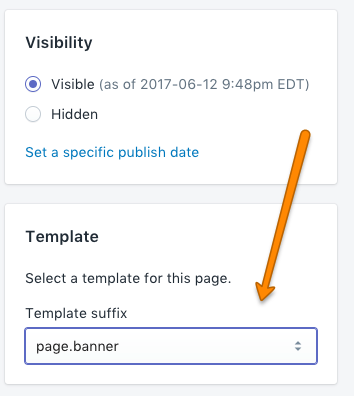 There are quite a few steps here so we'll show you how to add one section to a new page template. In this tutorial, we will be creating a homepage-style banner image section so that it can be used in a new page template. 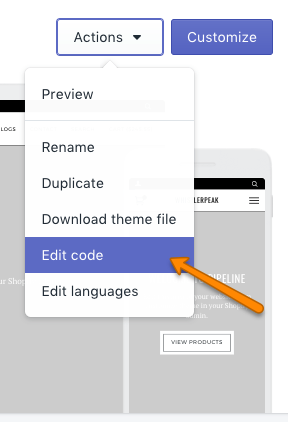 From the Shopify admin dashboard you will want to edit the code of your theme. 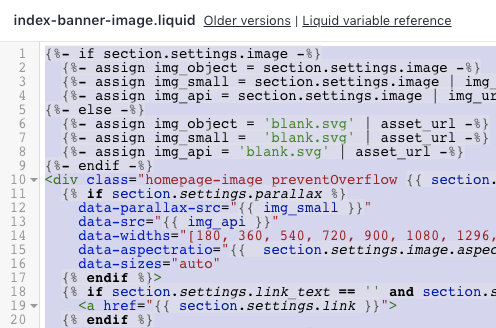 On the left, click on the filename index-banner-image.liquid. Select all the default code and overwrite it with your clipboard - Paste (Commad-V on Mac or Control-V on Windows). At the very bottom of the file, change the category value from "Image" to "Custom"
Use the Create template button to complete. Choose a page you'd like to add the banner feature to. On the right side, you'll be able to choose a page template, use the drop-down to select page.banner. If you're seeing those messages it's because the page still needs the settings for the section to be configured. Follow the next step for that. Note: Your new template will only appear here if you're working with a published theme. Unfortunately, if you are working out of another theme or a draft theme, Shopify won't show as available in the drop-down. For that reason, create your custom template and section files in your live published theme. 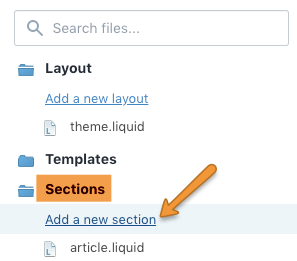 Important - You'll need to navigate to your page that has the custom template in the Theme Editor in order to configure the section settings. 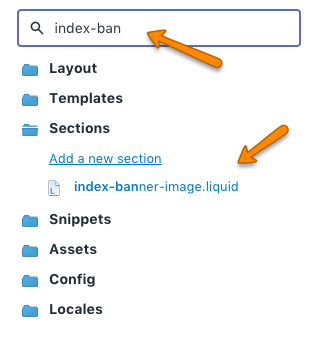 One suggestion is add a temporary link to that page in your navigation or elsewhere so you can find the page in the Theme Editor. The left sections options will change, you should see the Banner option there to configure. Customize the banner and you're ready to go! If you apply this page template on multiple pages - The same image and settings will be applied. If you change it on one page, it will change all of them. That's the biggest restriction with these modules. 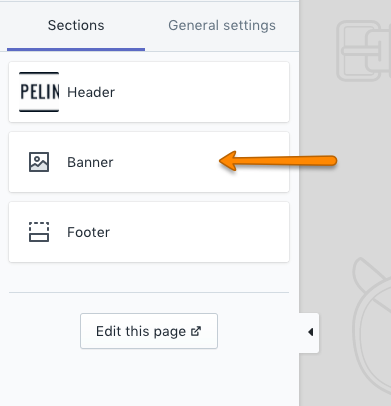 For multiple banner options, you'll need to create additional templates and sections, basically repeat the above steps and use different names. If you create three different templates with three different sections files linked, then you can have three different pages with unique page banner settings/images. You can apply the same concept and add other homepage features to a page template. Here are some other homepage section names that you can use by following Step 1. 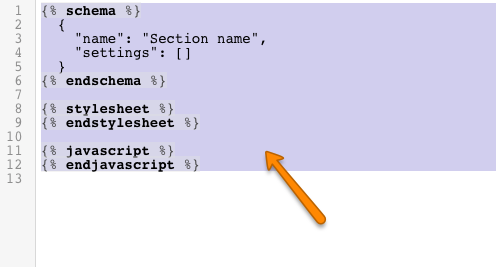 You'll still be coping the code from the section and making a new section in the Sections folder and pasting that code in. You can also skip Part 3 for Instagram. In the above example, I've added both the page-banner-image and the index-instagram sections to this page template. That is possible but not necessary. If you want to display a completely different Instagram feed (images from another account/token), then follow the normal steps 1-4 and call the section "page-instagram". If you're using the same feed, then only skip steps 1 and 3 and use "index-instagram".